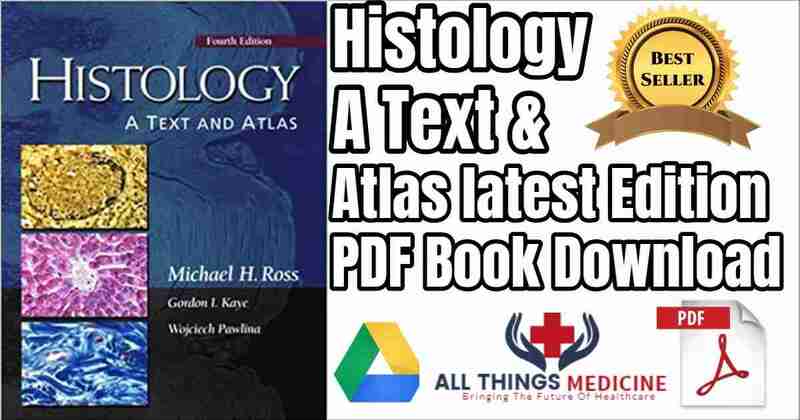 This updated Fourth Edition best-selling Histology a text and atlas is refined in several ways. Many chapters are completely revised, and nearly half of the photographs are new. There are approximately 189 atlas plates, and over 70 new illustrations. Textboxes read as “Clinical Correlation” or “Functional Correlation”, and in the text, the emphasis is placed on functional integration with increased coverage of cell and molecular biology. The sentence heading and four-color art have been retained from the previous edition. Wow! I bought this book a couple of months ago but just got around to opening it up last night to study for a histology test. I expected to find a slew of labelled photomicrographs to review, but this book is actually so much more! 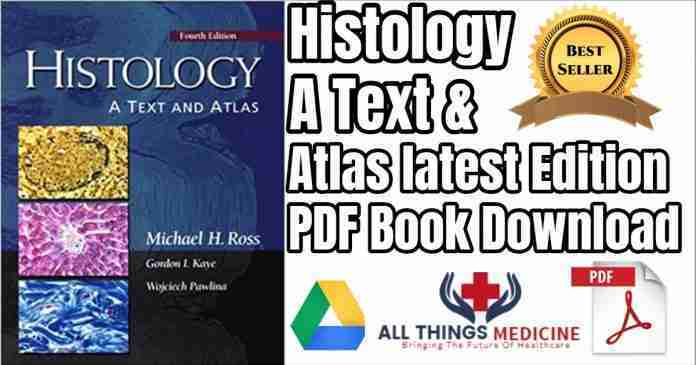 It is really an anatomy, physiology and histology text all in one – and it is done very very well. The book is divided into 24 chapters, with chapters by the system, tissue type, basic cell biology as well as tissue/slide preparation. Each chapter covers the anatomy and physiology of the system or tissue in question extremely well. The text gets right to the point but is still very complete in its explanations. Within each paragraph, keywords are bolded in red, so you can quickly find the exact topic you are interested in within a subject. All topics are supplemented with fully labelled light and electron photomicrographs of each structure, tissue, and cell. Illustrations also accompany a majority of the micrographs to clarify things. All illustrations and micrographs are thoroughly labelled. Within text, pictures are typically 1/4 to 1/2 page in size, and each chapter has its own set of full-page color plates for even better up-close visualization and study. The full-page color photomicrographs at the end of each chapter are fully labelled, but go even further than that with exact descriptions of each label on the opposing page. This is really amazing, because, for instance, on a slide of the kidney that I was studying, not only were the proximal and distal tubules and collecting ducts labelled, there were also accompanying descriptions on the opposing page as to why one was different from another in these very similar looking structures. With labels alone, I would have had a difficult time identifying these structures on my own slides, but with the added description accompanying each label as to why one was slightly different from another, I can now easily pick out the nuances of each that differentiate them. An added plus are the clinical correlations (several per chapter) as well as online access to the book with a special “scratch-off” code inside the front cover. I also like that chapters have a color strip and subject title (e.g. 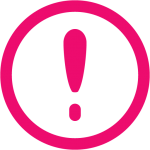 ovary) down the lateral margin of each page; this makes it extremely easy to find the section/topic you are looking for by simply thumbing the pages versus having to look in the table of contents to find the chapter/page for the system you are after. Note that the book does have a soft cover, so if you are going to be carrying it around with you, you’ll want to put a plastic laminate on it to protect it. The pages themselves are all in full-color on high quality, semi-gloss stock. Total pages are 974 and the book itself is just a bit over 1 inch thick. Overall, this is a really an amazing book! 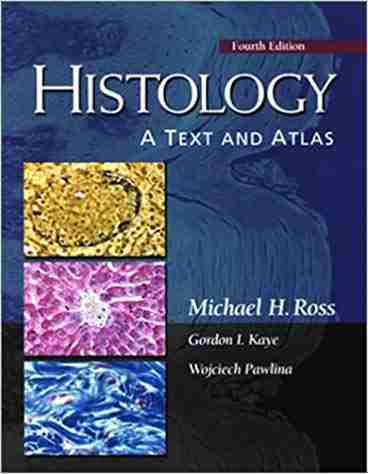 You could definitely use it as a basic physiology text in addition to being your histology reference source and learning guide. There are so many features in this book that have been well thought out that the authors and publishers really should be applauded for — the in-text bolding of keywords, the subject strips down the side of each page for easy thumbing, but especially for the excellent photomicrographs, labelling, and explanations of each cell type and structure. Well done and highly recommended! Worth far more than the sub-$100 price being charged!